Have you ever heard of Sinterklaas? It is a saint in a december-tradition in the Netherlands. People give presents to each other on December 5th, mostly combined with a self-written poem. The poem is often personalized and tells something about the recipient of the gift. And for the ultimate experience, the gift is wrapped into a handmade "surprise". Last weekend, Sinterklaas arrived in the Netherlands with his boat, after a long trip that started in Spain. 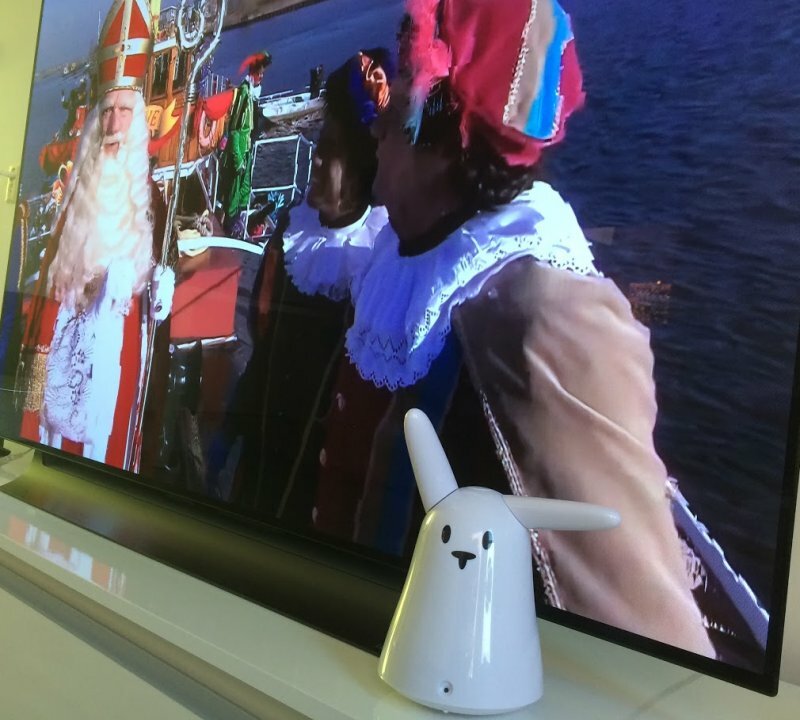 This is shown on Dutch Television every year, especially for kids who still believe Sinterklaas really exists. On one of the pictures below, you can see a shot of Karotz watching this show on TV. 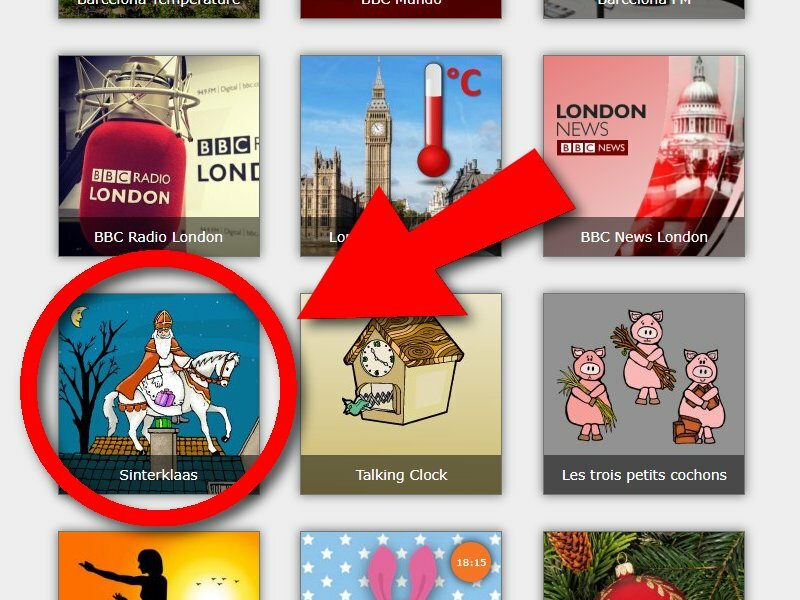 Did you know we have a real "Sinterklaas App" in the Timebutton Appstore, on page 6? You can schedule this app to play a random Dutch Sinterklaas tune. Get into the mood and give it a try!